It wouldn’t be possible to live in many regions of the world if it weren’t for heating and air conditioning. Humanity has come a very long way since the days of the caveman. Not only do most people have access to clean drinking water and relatively affordable food, but they also have cars, electricity, electronic devices, and so much more. Of course, there are still billions of people who don’t have access to these things because they live in incredibly poor regions of the world, and the goal of everyone alive today should be to do what they can to help the rest of the world develop. That being said, when you look at much of the world, you see incredibly advanced societies relative to the beginnings of humanity. 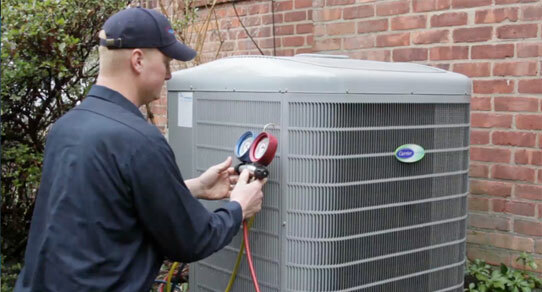 There are thousands of incredible inventions that make life today great, but very few play a larger role in most people’s lives than heating and air conditioning. Heating and air conditioning have been around in some form for a very long time, but the systems available today are unlike anything that’s ever been created. Modern heating and air conditioning systems are able to stabilize temperatures in a large home in minutes. Thus, even if it’s 120 degrees outside, your AC system is still going to cool your house to 75 just like you like it, and vice versa for when it’s 30 degrees outside. Heating and cooling systems aren’t just about comfort. Obviously, it’s great when you have heating and cooling systems in your home because you can regulate the temperature in your house. This allows you to always be comfortable, no matter the time of day or what the weather is like outside. That being said, there are actually some regions of the world where it’s not possible to live without heating and/or cooling systems. For example, scientists wouldn’t be able to live and work in the Arctic or in Antarctica if it weren’t for their heating systems. The temperatures there get so cold that if the scientists didn’t have homes and buildings with heat, they wouldn’t last longer than a few hours. The opposite is true for places like Phoenix. Just this week, the temperatures in Phoenix have consistently gone well over 110 degrees. It’s so hot that airplanes haven’t been able to take off and trains have derailed. If you live in Phoenix during the summer and you don’t have air conditioning, you’re putting yourself and anyone who enters your home at great risk of serious health impacts. If you stand outside in 115 degree heat, it won’t take more than an hour or so for you to get heat stroke or for your body to start shutting down. The point here is that not only are heating and cooling systems great because they allow you to live comfortably, but they’re downright necessary in some regions of the world for life to be possible at all. If you happen to live in Mississippi, where the summers are incredibly hot and humid, then you know that to be true. Thus, if you live in the Magnolia State, make sure you’ve got an AC repair company like The AC Doctors on call. Comments Off on It wouldn’t be possible to live in many regions of the world if it weren’t for heating and air conditioning. Virtual, coworking, or executive office suite, which is right for your business?